The chief side-effect of using statin medication is Diabetes. If you are not aware of that, or if you don't want to volunteer for it because of taking the statins, then you need an alternative plan. Please call Dr. Huntoon when you want to address the underlying CAUSE for high cholesterol and Heart Disease. AF occurs if rapid, disorganized electrical signals cause the heart's two upper chambers—called the atria (AY-tree-uh)—to fibrillate. The term "fibrillate" means to contract very fast and irregularly. In AF, blood pools in the atria. It isn't pumped completely into the heart's two lower chambers, called the ventricles (VEN-trih-kuls). As a result, the heart's upper and lower chambers don't work together as they should. With each heartbeat, an electrical signal spreads from the top of the heart to the bottom. 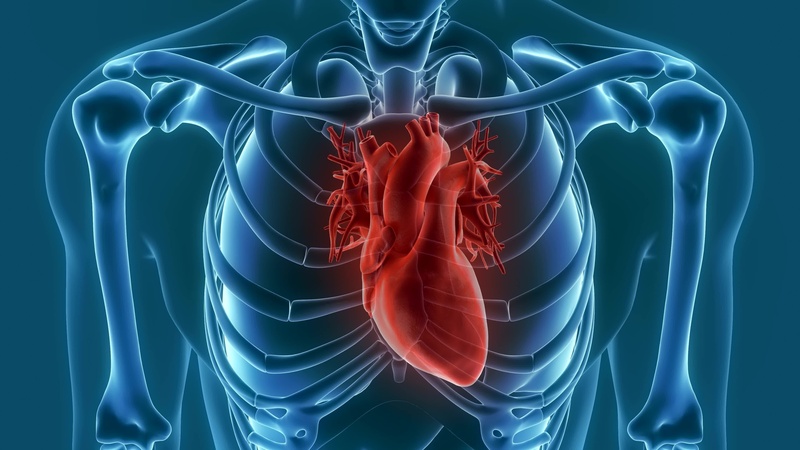 As the signal travels, it causes the heart to contract and pump blood. From the SA node, the electrical signal travels through the right and left atria. It causes the atria to contract and pump blood into the ventricles. The electrical signal then moves down to a group of cells called the atrioventricular (AV) node, located between the atria and the ventricles. Here, the signal slows down slightly, allowing the ventricles time to finish filling with blood. The electrical signal then leaves the AV node and travels to the ventricles. It causes the ventricles to contract and pump blood to the lungs and the rest of the body. The ventricles then relax, and the heartbeat process starts all over again in the SA node. In AF, the heart's electrical signals don't begin in the SA node. Instead, they begin in another part of the atria or in the nearby pulmonary veins. The signals don't travel normally. They may spread throughout the atria in a rapid, disorganized way. This can cause the atria to fibrillate. The faulty signals flood the AV node with electrical impulses. As a result, the ventricles also begin to beat very fast. However, the AV node can't send the signals to the ventricles as fast as they arrive. So, even though the ventricles are beating faster than normal, they aren't beating as fast as the atria. If this happens, blood isn't pumped into the ventricles as well as it should be. Also, the amount of blood pumped out of the ventricles to the body is based on the random atrial beats. AF may be brief, with symptoms that come and go and end on their own. Or, the condition may be ongoing and require treatment. Sometimes AF is permanent, and medicines or other treatments can't restore a normal heart rhythm. People who have AF can live normal, active lives. For some people, treatment can restore normal heart rhythms. For people who have permanent AF, treatment can help control symptoms and prevent complications. Treatment may include medicines, medical procedures, and lifestyle changes. In paroxysmal (par-ok-SIZ-mal) atrial fibrillation (AF), the faulty electrical signals and rapid heart rate begin suddenly and then stop on their own. Symptoms can be mild or severe. They stop within about a week, but usually in less than 24 hours. Persistent AF is a condition in which the abnormal heart rhythm continues for more than a week. It may stop on its own, or it can be stopped with treatment. Permanent AF is a condition in which a normal heart rhythm can't be restored with treatment. Both paroxysmal and persistent AF may become more frequent and, over time, result in permanent AF. Atrial fibrillation (AF) usually causes the heart's lower chambers, the ventricles, to contract faster than normal. During AF, the heart's upper chambers, the atria, don't pump all of their blood to the ventricles. Some blood pools in the atria. When this happens, a blood clot (also called a thrombus) can form. Blood-thinning medicines that reduce the risk of stroke are an important part of treatment for people who have AF. The illustration shows how a stroke can occur during atrial fibrillation. A blood clot (thrombus) can form in the left atrium of the heart. If a piece of the clot breaks off and travels to an artery in the brain, it can block blood flow through the artery. The lack of blood flow to the portion of the brain fed by the artery causes a stroke. Heart failure occurs if the heart can't pump enough blood to meet the body's needs. AF can lead to heart failure because the ventricles are beating very fast and can't completely fill with blood. Thus, they may not be able to pump enough blood to the lungs and body. Lifestyle changes, medicines, and procedures or surgery (rarely, a mechanical heart pump or heart transplant) are the main treatments for heart failure. Causes and Who Is At Risk? Atrial fibrillation (AF) occurs if the heart's electrical signals don't travel through the heart in a normal way. Instead, they become very rapid and disorganized. To understand why this occurs so you don't need medication, go to Doctor Huntoon's Alternative Treatment Options found below. Damage to the heart's electrical system causes AF. The damage most often is the result of other conditions that affect the health of the heart, such as high blood pressure and coronary heart disease. The risk of AF increases as you age. Inflammation also is thought to play a role in causing AF. Sometimes, the cause of AF is unknown in Traditional Medicine. That's why we ask you to continue reading the section Doctor Huntoon's Alternative Treatment Options found below. Atrial fibrillation (AF) affects millions of people, and the number is rising. Men are more likely than women to have the condition. In the United States, AF is more common among Whites than African Americans or Hispanic Americans. The risk of AF increases as you age. This is mostly because your risk for heart disease and other conditions that can cause AF also increases as you age. However, about half of the people who have AF are younger than 75. This statistic will continue to affect younger and younger people as the use of antibiotics and not taking a quality probiotic continues in our society. Other conditions that raise your risk for AF include hyperthyroidism (too much thyroid hormone), obesity, diabetes, and lung disease. Certain factors also can raise your risk for AF. For example, drinking large amounts of alcohol, especially binge drinking, raises your risk. Even modest amounts of alcohol can trigger AF in some people. Caffeine or psychological stress also may trigger AF in some people. Some data suggest that people who have sleep apnea are at greater risk for AF. Sleep apnea is a common disorder that causes one or more pauses in breathing or shallow breaths while you sleep. Metabolic syndrome also raises your risk for AF. Metabolic syndrome is the name for a group of risk factors that raises your risk for CHD and other health problems, such as diabetes and stroke. Research suggests that people who receive high-dose steroid therapy are at increased risk for AF. This therapy is used for asthma and some inflammatory conditions. It may act as a trigger in people who have other AF risk factors. Genetic factors also may play a role in causing AF. However, their role isn't fully known. Atrial fibrillation (AF) is diagnosed based on your medical and family histories, a physical exam, and the results from tests and procedures. Sometimes AF doesn't cause signs or symptoms. Thus, it may be found during a physical exam or EKG (electrocardiogram) test done for another purpose. If you have AF, your doctor will want to find out what is causing it. This will help him or her plan the best way to treat the condition. Primary care doctors often are involved in the diagnosis and treatment of AF. These doctors include family practitioners and internists. Medical history. Do you have other health problems, such as a history of heart disease, high blood pressure, lung disease, diabetes, or thyroid problems? Family's medical history. Does anyone in your family have a history of AF? Has anyone in your family ever had heart disease or high blood pressure? Has anyone had thyroid problems? Does your family have a history of other illnesses or health problems? Health habits. Do you smoke or use alcohol or caffeine? Your doctor will do a complete cardiac exam. He or she will listen to the rate and rhythm of your heartbeat and take your pulse and blood pressure reading. Your doctor will likely check for any signs of heart muscle or heart valve problems. He or she will listen to your lungs to check for signs of heart failure. An EKG shows how fast your heart is beating and its rhythm (steady or irregular). It also records the strength and timing of electrical signals as they pass through your heart. A standard EKG only records the heartbeat for a few seconds. It won't detect AF that doesn't happen during the test. To diagnose paroxysmal AF, your doctor may ask you to wear a portable EKG monitor that can record your heartbeat for longer periods. A Holter monitor records the heart's electrical activity for a full 24- or 48-hour period. You wear small patches called electrodes on your chest. Wires connect these patches to a small, portable recorder. The recorder can be clipped to a belt, kept in a pocket, or hung around your neck. Some heart problems are easier to diagnose when your heart is working hard and beating fast. During stress testing, you exercise to make your heart work hard and beat fast while heart tests are done. If you can't exercise, you may be given medicine to make your heart work hard and beat fast. This test sometimes is called transthoracic (trans-thor-AS-ik) echocardiography. It's painless and noninvasive (no instruments are inserted into the body). For the test, a device called a transducer is moved back and forth over your chest. The device sends special sound waves through your chest wall to your heart. Transesophageal (trans-e-SOF-ah-ge-al) echo, or TEE, uses sound waves to take pictures of your heart through the esophagus. The esophagus is the passage leading from your mouth to your stomach. Your heart's upper chambers, the atria, are deep in your chest. They often can't be seen very well using transthoracic echo. Your doctor can see the atria much better using TEE. A chest x ray is a painless test that creates pictures of the structures in your chest, such as your heart and lungs. This test can show fluid buildup in the lungs and signs of other AF complications. Treatment for atrial fibrillation (AF) depends on how often you have symptoms, how severe they are, and whether you already have heart disease. General treatment options include medicines, medical procedures, and lifestyle changes. Preventing blood clots from forming, thus lowering the risk of stroke. Controlling how many times a minute the ventricles contract. This is called rate control. Rate control is important because it allows the ventricles enough time to completely fill with blood. With this approach, the abnormal heart rhythm continues, but you feel better and have fewer symptoms. Treating any underlying disorder that's causing or raising the risk of AF—for example, hyperthyroidism (too much thyroid hormone). In some people who have AF for the first time, doctors may choose to use an electrical procedure or medicine to restore a normal heart rhythm. Repeat episodes of AF tend to cause changes to the heart's electrical system, leading to persistent or permanent AF. Most people who have persistent or permanent AF need treatment to control their heart rate and prevent complications. People who have AF are at increased risk for stroke. This is because blood can pool in the heart's upper chambers (the atria), causing a blood clot to form. If the clot breaks off and travels to the brain, it can cause a stroke. Preventing blood clots from forming is probably the most important part of treating AF. The benefits of this type of treatment have been proven in multiple studies. Doctors prescribe blood-thinning medicines to prevent blood clots. These medicines include warfarin (Coumadin®), dabigatran, heparin, and aspirin. People taking blood-thinning medicines need regular blood tests to check how well the medicines are working. Doctors can prescribe medicines to slow down the rate at which the ventricles are beating. These medicines help bring the heart rate to a normal level. Restoring and maintaining a normal heart rhythm is a treatment approach recommended for people who aren't doing well with rate control treatment. This treatment also may be used for people who have only recently started having AF. The long-term benefits of rhythm control have not been proven conclusively yet. Doctors use medicines or procedures to control the heart's rhythm. Patients often begin rhythm control treatment in a hospital so that their hearts can be closely watched. The longer you have AF, the less likely it is that doctors can restore a normal heart rhythm. This is especially true for people who have had AF for 6 months or more. Restoring a normal rhythm also becomes less likely if the atria are enlarged or if any underlying heart disease worsens. In these cases, the chance that AF will recur is high, even if you're taking medicine to help convert AF to a normal rhythm. Medicines used to control the heart rhythm include amiodarone, sotalol, flecainide, propafenone, dofetilide, and ibutilide. Sometimes older medicines—such as quinidine, procainamide, and disopyramide—are used. Your doctor will carefully tailor the dose and type of medicines he or she prescribes to treat your AF. This is because medicines used to treat AF can cause a different kind of arrhythmia. These medicines also can harm people who have underlying diseases of the heart or other organs. This is especially true for patients who have an unusual heart rhythm problem called Wolff-Parkinson-White syndrome. Your doctor may start you on a small dose of medicine and then gradually increase the dose until your symptoms are controlled. Medicines used for rhythm control can be given regularly by injection at a doctor's office, clinic, or hospital. Or, you may routinely take pills to try to control AF or prevent repeat episodes. Doctors use several procedures to restore a normal heart rhythm. For example, they may use electrical cardioversion to treat a fast or irregular heartbeat. For this procedure, low-energy shocks are given to your heart to trigger a normal rhythm. You're temporarily put to sleep before you receive the shocks. Before doing electrical cardioversion, your doctor may recommend transesophageal echocardiography (TEE). This test can rule out the presence of blood clots in the atria. If clots are present, you may need to take blood-thinning medicines before the procedure. These medicines can help get rid of the clots. Catheter ablation (ab-LA-shun) may be used to restore a normal heart rhythm if medicines or electrical cardioversion don't work. For this procedure, a wire is inserted through a vein in the leg or arm and threaded to the heart. Radio wave energy is sent through the wire to destroy abnormal tissue that may be disrupting the normal flow of electrical signals. An electrophysiologist usually does this procedure in a hospital. Your doctor may recommend a TEE before catheter ablation to check for blood clots in the atria. Sometimes doctors use catheter ablation to destroy the atrioventricular (AV) node. The AV node is where the heart's electrical signals pass from the atria to the ventricles (the heart's lower chambers). This procedure requires your doctor to surgically implant a device called a pacemaker, which helps maintain a normal heart rhythm. Research on the benefits of catheter ablation as a treatment for AF is still ongoing. Another procedure to restore a normal heart rhythm is called maze surgery. For this procedure, the surgeon makes small cuts or burns in the atria. These cuts or burns prevent the spread of disorganized electrical signals. This procedure requires open-heart surgery, so it's usually done when a person requires heart surgery for other reasons, such as for heart valve disease (which can increase the risk of AF). Your doctor may recommend treatments for an underlying cause of AF or to reduce AF risk factors. For example, he or she may prescribe medicines to treat an overactive thyroid, lower high blood pressure, or manage high blood cholesterol. Continue reading below with Dr. Huntoon's Alternative Medical Treatment Options for a better understanding of the CAUSE. Your doctor also may recommend lifestyle changes, such as following a healthy diet, cutting back on salt intake (to help lower blood pressure), quitting smoking, and reducing stress. Limiting or avoiding alcohol, caffeine, or other stimulants that may increase your heart rate also can help reduce your risk for AF. Treating a health condition that you do not fully understand is not a good recipe for success. When dealing with electrical issues, do not call a chemist or a general contractor. You want to hire an electrician. Why Do You Get A-Fib? Understanding the electrical system of the heart and knowing what regulates the electrical flow within the heart becomes paramount. Dr. Huntoon was educated on this early on in school when he was exposed to the teachings of Dr. Royal Lee, DDS. Dr. Lee did research and found that a very specific fraction of the Whole Food B Complex, known as vitamin B4, helps with nerve conduction and nerve transmission. It is used because it improves the transmission of nerve impulses. Dr. Huntoon recommends this with people who have irregular heart beats, fibrillation, or where there is a block in the Bundle of Hiss -- this condition is called a Bundle Branch Block. A list of conditions this has always shown positive benefits with are Nerve Conductivity Disturbance, Anemia, Bundle Branch Block, Skipped Heartbeat, Hypotension and Poor Muscle Tonicity. Adding to the equation a good quality Probiotic, in addition to the Cataplex B, allows for activation of the Nervous System and helps keep the system running smoothly. Dr. Huntoon has helped so many people avoid heart disease by helping to restore balance to their digestive system and placing them on Probiotics and the Whole Food B Vitamins called Cataplex B. By addressing the underlying cause of the imbalance within a person's microbiome, due to the effect of antibiotic treatment, he has helped remedy the reason for B Vitamin Deficiency and malabsorption that leads to inflammation affecting the person's cardiovascular system, including the irregularity in the electrical system of the heart. Helping them to restore balance to their digestive system, improve their diet, reduce their stress and increasing their exercise, eliminates the basis of heart disease. This has and continues to be an effective remedy to this major health epidemic in our country. A person with heart disease usually needs several medications when under the care of a Medical Doctor. Taking them correctly is as necessary as it is difficult. Talking with your Pharmacist will allow you to understand how your medication works and what can be done to support you. Anyone who has read Our Blog for longer than 6 months knows that I have always maintained that cholesterol is not a cause of heart disease. And for a majority of heart disease patients,beriberi (B vitamin deficiency) of the heart is the underlying cause of the disease. Few people in the world of medicine - and even fewer in the world of cardiology - have taken the time to consider, no less test, this theory. I have personally tested it and found it to be true in tens of thousands of heart patients over a period of more than 30 years. Take a probiotic with each meal. Be sure to take a Whole Food B Vitamin with every meal. Get ongoing proactive preventative care and take your medicines as prescribed. People who have atrial fibrillation (AF)—even permanent AF—can live normal, active lives. If you have AF, ongoing proactive health care is important. Keep all your preventative health care appointments. Bring a list of all the medicines you're taking to every doctor and emergency room visit. This will help your doctor know exactly what medicines you're taking and what to consider if there is something wrong. Follow your doctor's instructions for taking medicines. Be careful about taking over-the-counter medicines, nutritional supplements, and cold and allergy medicines. Some of these products contain stimulants that can trigger rapid heart rhythms. Also, some over-the-counter medicines can have harmful interactions with heart rhythm medicines. To prevent that from happening, consult with a Holistic Chiropractor who can help you solve your concern, not make a living off of you and your condition. If you're taking blood-thinning medicines, you'll need to be carefully monitored. For example, you may need routine blood tests to check how the medicines are working. Also, talk with your doctor about your diet. Some foods, such as leafy green vegetables, may interfere with warfarin, a blood-thinning medicine. This is why you would want to consult with a Holistic Chiropractor when addressing the CAUSE of this health concern. Ask your doctor about physical activity, weight control, and alcohol use. Find out what steps you can take to manage your condition. Adding to the equation a good quality Probiotic in addition to the Cataplex B allows for activation of the Nervous System and helps keep the system running smoothly. Anyone who has read Our Blog for longer than 6 months knows that I have always maintained that cholesterol is not a cause of heart disease. And for a majority of heart disease patients, beriberi (B vitamin deficiency) of the heart is the underlying cause of the disease. Few people in the world of medicine - and even fewer in the world of cardiology - have taken the time to consider, no less test, this theory. I have personally tested it and found it to be true in tens of thousands of heart patients over a period of more than 30 years. Please call Dr. Huntoon at (845)561-2225 so he can help you address your heart health concerns, not kick the can down the road, setting you up for heart surgery.